Specializing in vacation and luxury homes in the upscale Longport market and neighboring Absecon Island beach communities for over 25 years; Premier Properties Real Estate Inc. sells nearly 70% of all real estate in Longport, NJ. Premier Properties has joined forces with Long & Foster Real Estate – the largest real estate company in the Mid-Atlantic region. 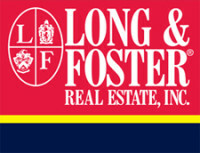 Long & Foster provides a one stop shopping experience with real estate, mortgage, title and insurance. While our name has changed, The Premier Team still prides itself on providing that “boutique real estate feel” in Longport. Originally from Philadelphia, PA, Jerome summered in Longport since the 1960’s and has long-time family ties to the Longport area. His father, Daniel DiPentino, founded a real estate firm in northeast Philadelphia, and by the age of 18, Jerome became a licensed real estate broker. He went on to major in real estate at Temple University, Philadelphia PA. Jerome owned and operated this Philadelphia real estate firm and became a successful residential real estate broker, working the Philadelphia markets for 15 years. In 1990, Jerome decided to leave the family business in the capable hands of his brother Vincent to pursue a real estate career at the New Jersey shore. 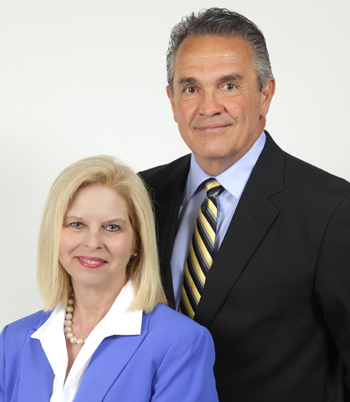 Jerome and Angel purchased Premier Properties Real Estate Inc. from Angel’s brother Joe in 1994. Jerome and Angel have developed a team approach and began offering highly specialized, personalized service to real estate clients at the seashore. Their goal was to make their growing firm unique in the market. Jerome and Angel also possess development and new construction experience which is an invaluable asset when interacting with builder/developer clients. Jerome and Angel reside in Longport, New Jersey along with numerous family members and are active members of the community. Their commitment to serving this community is unparalleled in the industry. Some community interests for Jerome and Angel are High School football coaching, quarterly senior luncheons, fund raising for Longport fire and rescue, volunteering at the Epiphany Catholic Church and sponsors of Longport Senior Citizen Help. Angel’s family summered in Longport since the 1960’s. Angel grew up in Camden, New Jersey, where she attended the Bishop Eustace Preparatory School in Pennsauken and was in the first female graduating class. She went on to attend Rider University (Lawrenceville, NJ) and graduated in 1980 with a Bachelor of Science degree in Business Management. Angel moved to the shore on a full time basis and opened a gift boutique, aptly named “Angel’s Heaven”, in Margate New Jersey, which quickly became a popular and successful gift shop. Angel successfully operated this retail business for eight years, before deciding she was ready for a career change. 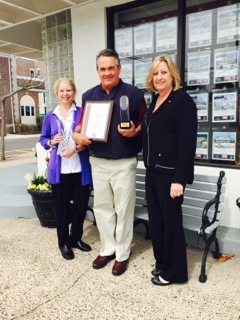 Angel went on to becoming one of only five in Atlantic County to receive the “Gold Sales Award” signifying over $10 million in sales. Angel is a Vacation, Second, and Luxury Home specialist, with Construction, Design and development experience. Angel prides herself on offering very specialized and extremely personalized service. Specializing in Longport, Margate, Ventnor, Atlantic City, Linwood, Northfield, Somers Point, Angel can be reached via her office, which is open 7 days a week with 24 hour voice mail. Kathy Mazur is a licensed Real Estate Agent serving in many capacities for The DiPentino Team. Kathy is the Settlement Coordinator as well as a “Licensed Assistant” to Angel DiPentino. Kathy has been with Premier since it’s inception and is well versed in all phases of the residential Real Estate Business. Sharon is a licensed salesperson, currently she is in a support capacity with emphases on leasing. Sharon is well versed in all phases of real estate business and provides invaluable assistance to the team.